The festivities after the Academy Awards include a wide array satellite parties all over Los Angeles. Far and away the most glam of them all is the Vanity Fair Oscars Party. It attracts an A-List to celebrate Hollywood’s biggest night. While the looks are not as formal as the red carpet, there are still plenty of stunning diamonds to see. Almost every type of earring silhouette could be found at this year’s Vanity Fair party. 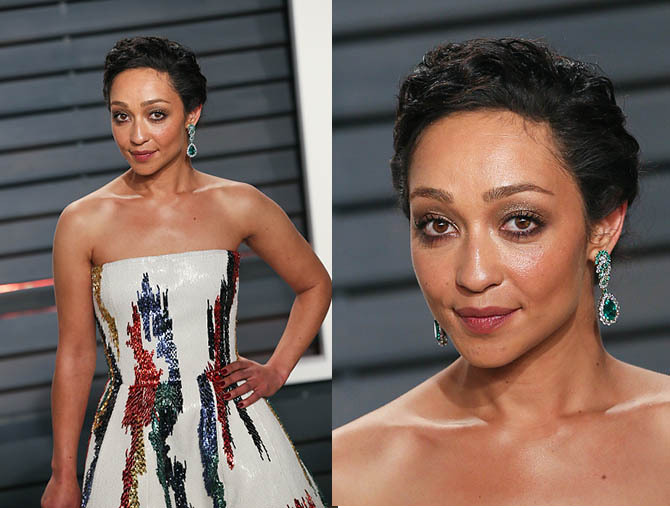 Ruth Negga changed from her sensational red carpet Valentino ensemble of jewels designed with Gemfields rubies by Irene Neuwirth to Verdura earrings set with 24.12-carats of Gemfields Zambian emeralds. Emma Stone changed from her haute couture Givenchy and Tiffany Oscar ensemble into a slip dress and jacket from Givenchy and Repossi ear cuff for the after parties. The single Serti Sur Vide earring was custom made for the occasion. 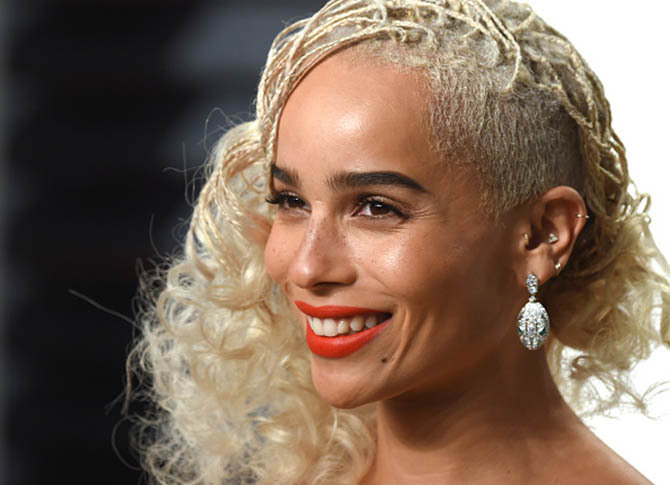 The always uber cool Zoe Kravitz worked one of Bulgari’s new Serpenti earrings in with her multiple ear piercings. 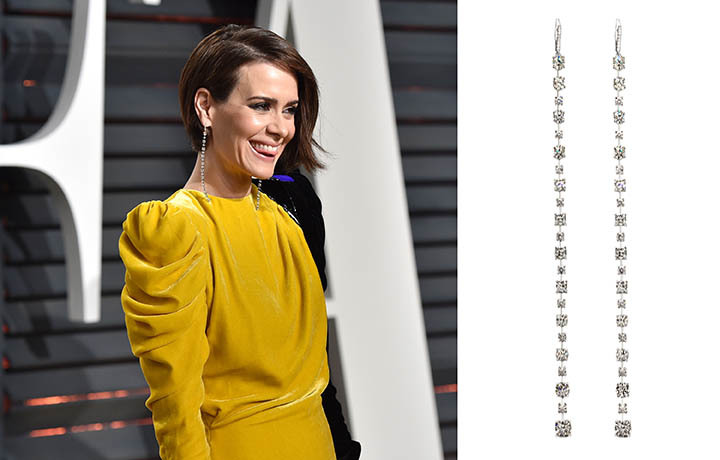 Sarah Paulson sported stunning Forevermark shoulder dusters designed by her stylist Karla Welch with her Ronald Van Der Kamp. Read all about the creation of the design here. Kate Hudson’s updo showed off her stunning Lorraine Schwartz diamond pendant earrings to perfection. Allison Williams lit up hear earlobes with a mega cuff by Lorraine Schwartz featuring fancy shape diamonds. Kate Bosworth turned up the throwback glamour in an Extremely Piaget diamond choker and Piaget Rose diamond earrings. Diane Kruger added sparkle to her satin gown with a single Flappers earring from Messika’s High Jewelry collection. The jewels are set with round and baguette cut diamonds.